Happy Friday! FINALLY, right? I have this thing where the weeks leading up to the holidays are just….LONG, in my brain, and then suddenly YAY! Lots of short weeks in a row! I’m ready for the short weeks to start NOW, please and thank you. For the weekend, let’s make an appetizer, ok? This is REALLY simple, but incredibly delicious. 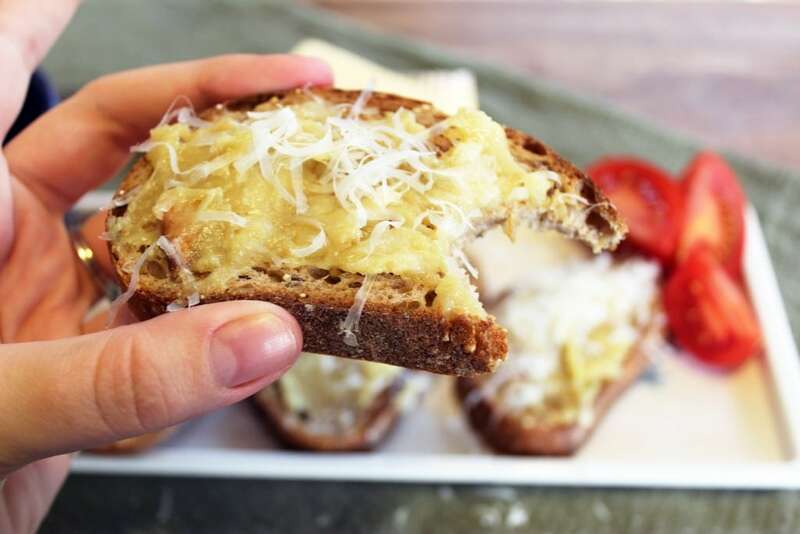 Once you master the basic roasted garlic paste you can add herbs, cheese, or anything you can think of to the crostini! Let’s get going on the garlic first. LOTS of garlic! I ended up using 4 whole bulbs, and 4 people finished the paste as an appetizer. So…plan on 1/2-1 bulb of garlic per person if you’re not having any other appetizers when you make this. 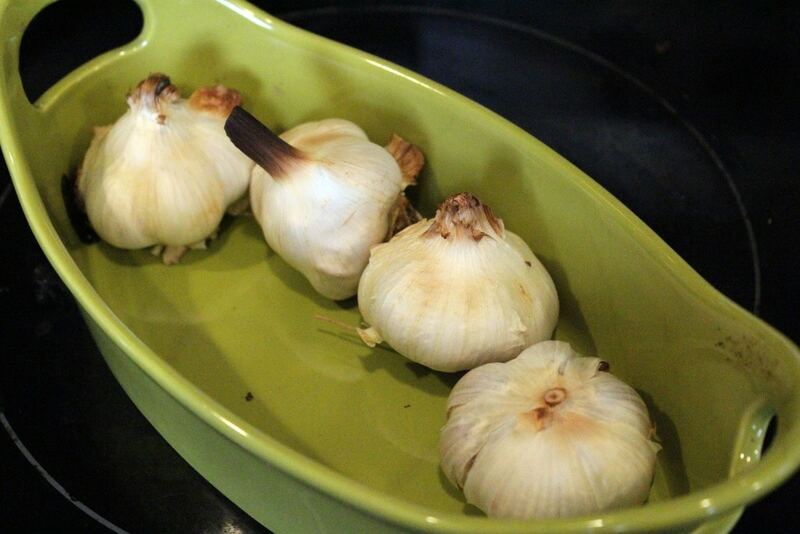 Turn the oven to 450F, and toss the garlic in a small dish. Roast the garlic for 45 minutes or so until the bulbs are soft on the sides and the tops are browned. 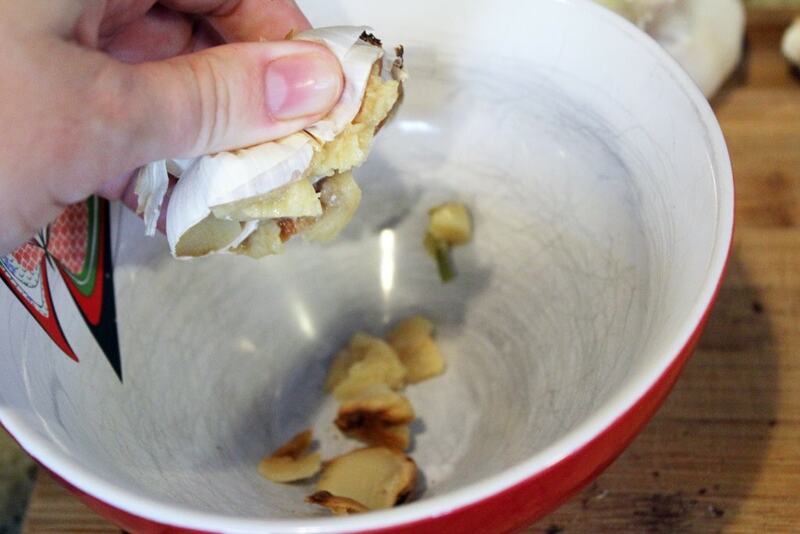 If you don’t want to use a baking dish you can also roast garlic wrapped in tin foil, FYI. Options! Now, let the garlic cool, and grab your other crostini ingredients! 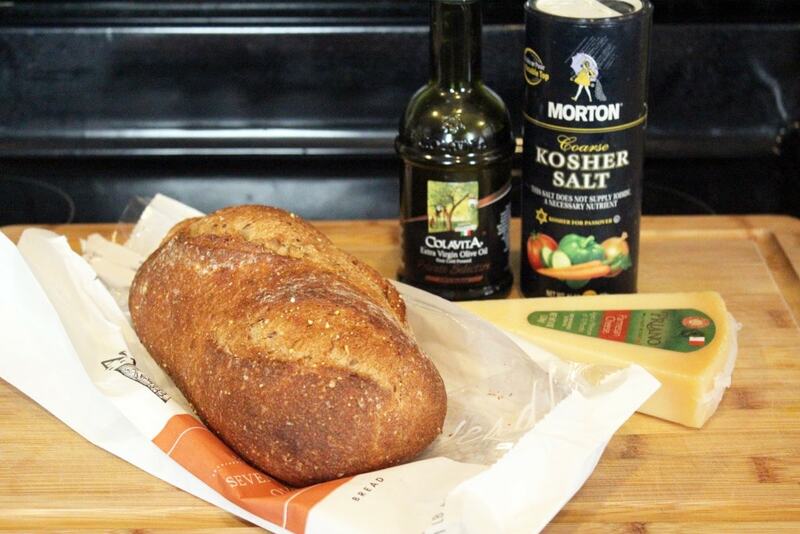 Olive oil, salt, bread, and parm. The parm is optional, and the garlic paste is vegan without it! Parm is good though so….decisions. 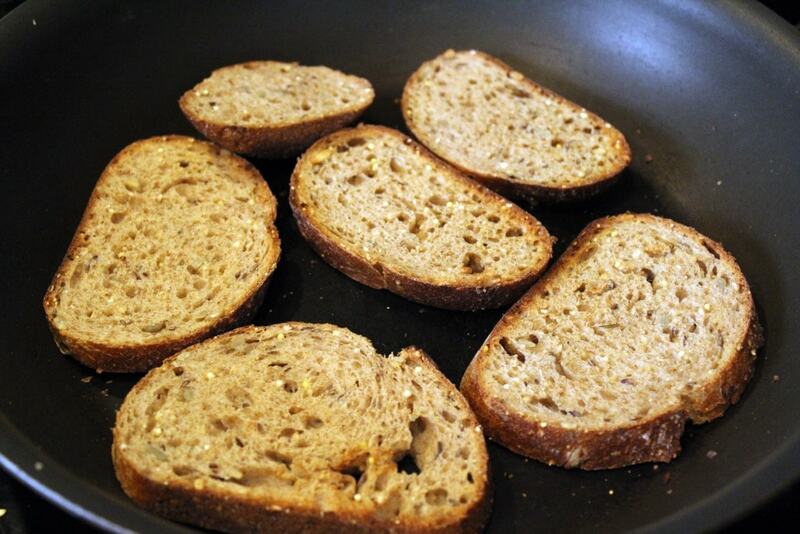 I like to toast the bread in a dry skillet over medium heat for 3 minutes on each side. 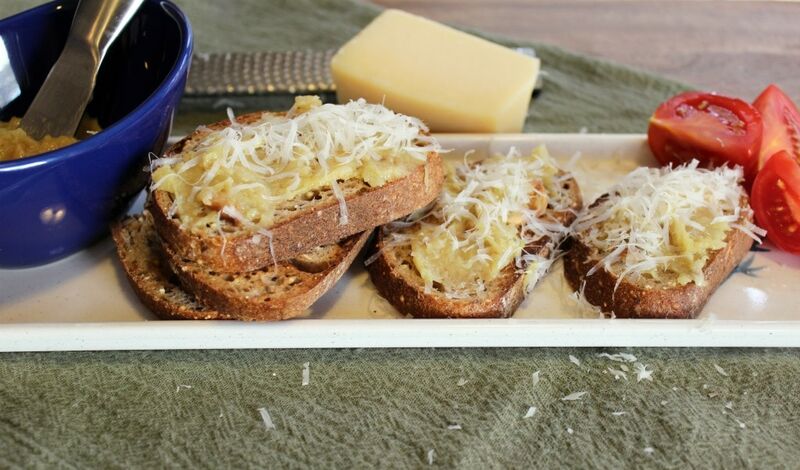 Toast your bread any way you like, though! 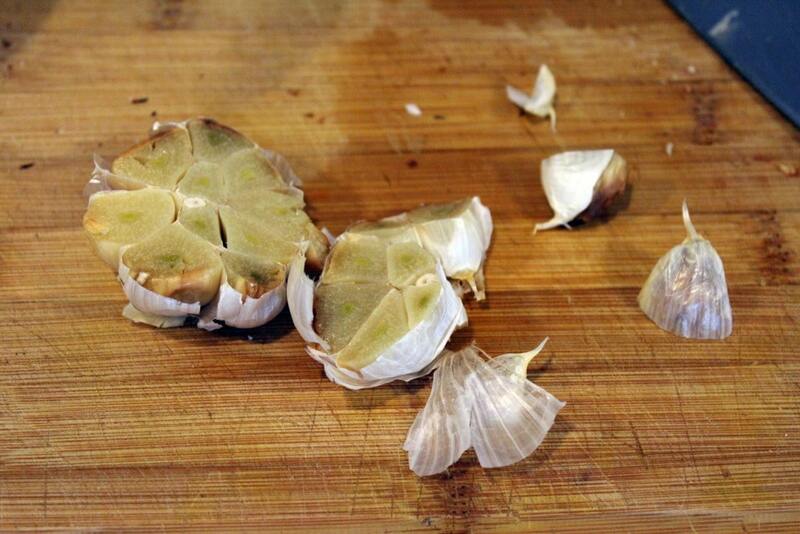 When the garlic is cool enough to handle, cut each bulb in half crosswise. Then, squish all the garlic into a bowl. The smell here is INCREDIBLE. That’s the thing about roasting garlic, the sharpness goes completely away and the flavor sweetens and mellows a lot, so if you’re sensitive to garlic this is a great app for you! 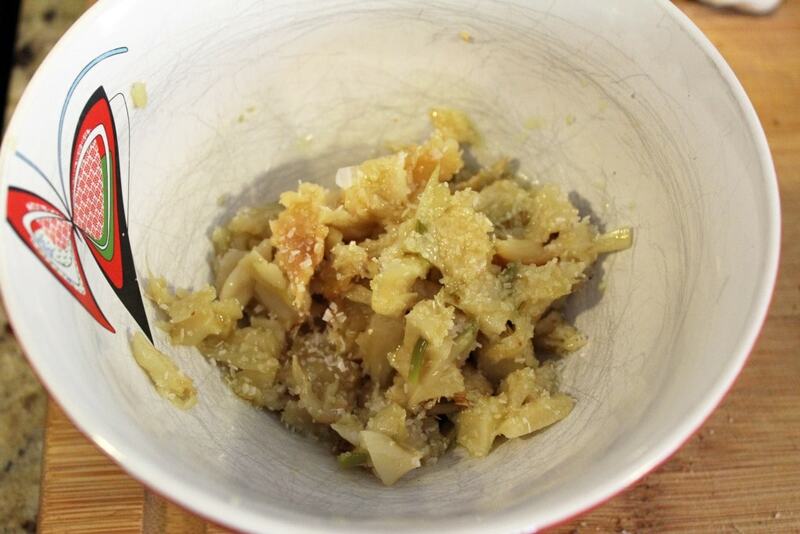 To the garlic, add a drizzle of olive oil and a sprinkle of salt. Use a fork to mash it all together. Now, assemble! 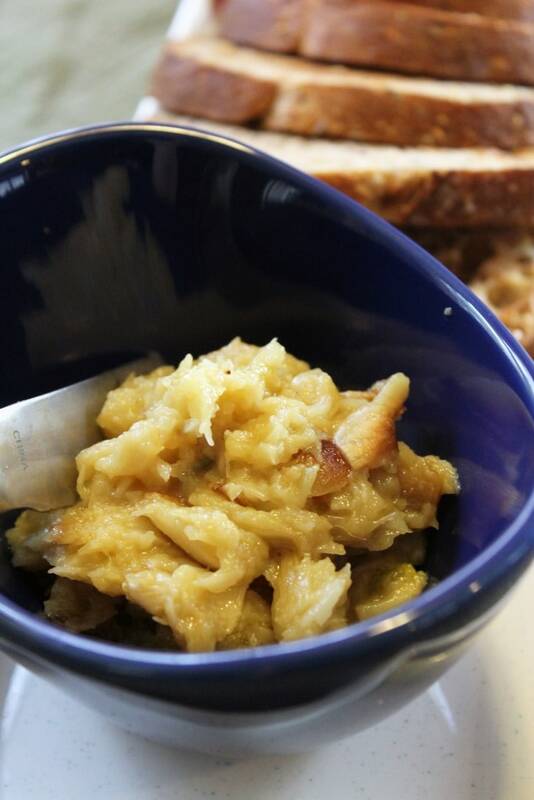 You can serve the garlic paste next to the toast for folks to serve on their own, which I love. Or, you can assemble a few! A schmear of garlic paste, topped with a bit of extra salt and a grate of parmesan. YUM, guys. This is so simple, but really delicious. Roasted garlic is great in lots of different things (mashed potatoes! ), so I like to roast a ton when I’m making this and use it for other stuff – it keeps really well in the fridge or freezer. Another thing that I love about this is that you can serve it hot, cold, warm, whatevs! Roast the garlic really early in the day and the paste is fine sitting out, then right when you’d like to serve you can toast some bread and an appetizer is born! Make this soon, and I promise people will love you for it. Preheat the oven to 450F. 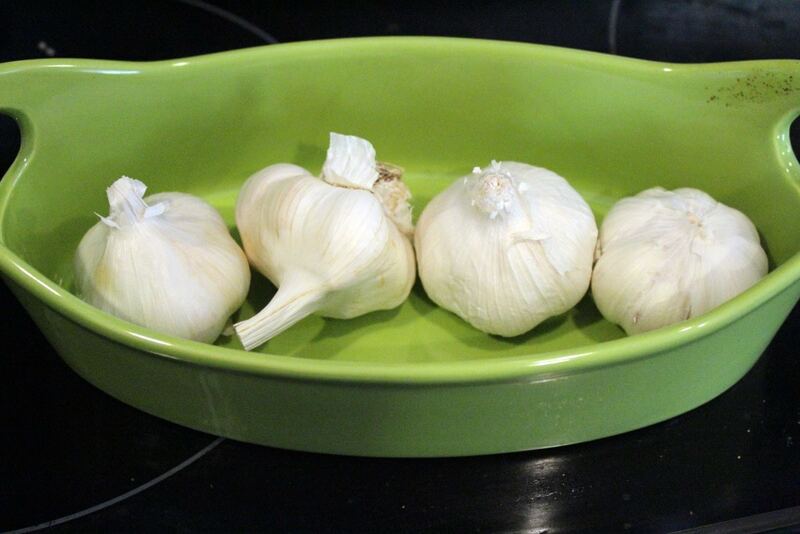 Arrange garlic in a small dish or wrap in tin foil. Roast (you don't have to wait for the oven to heat up, just toss the garlic in) for 45 minutes until the top of the garlic bulb is brown and the bulbs are soft. Let cool until you can touch them. 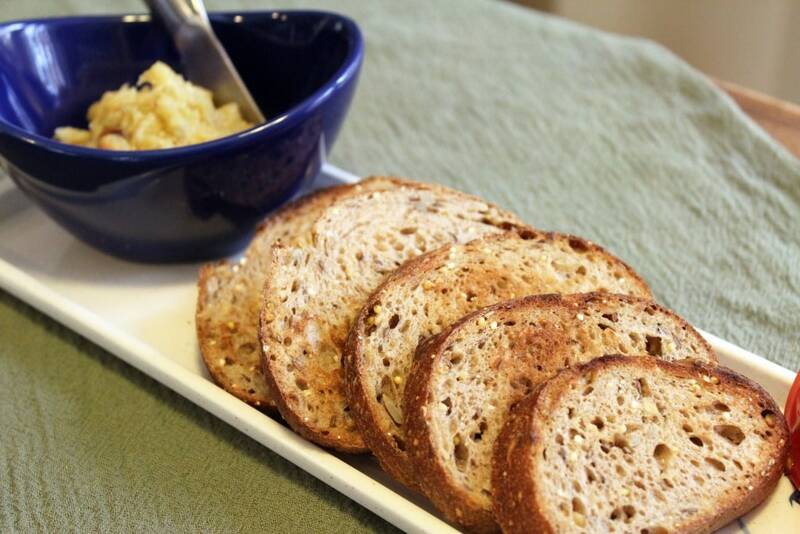 While the garlic cools, slice and toast the bread any way you like. I toast it in a dry skillet over medium-high heat for 3 minutes or so on each side. A toaster or broiler works great too! 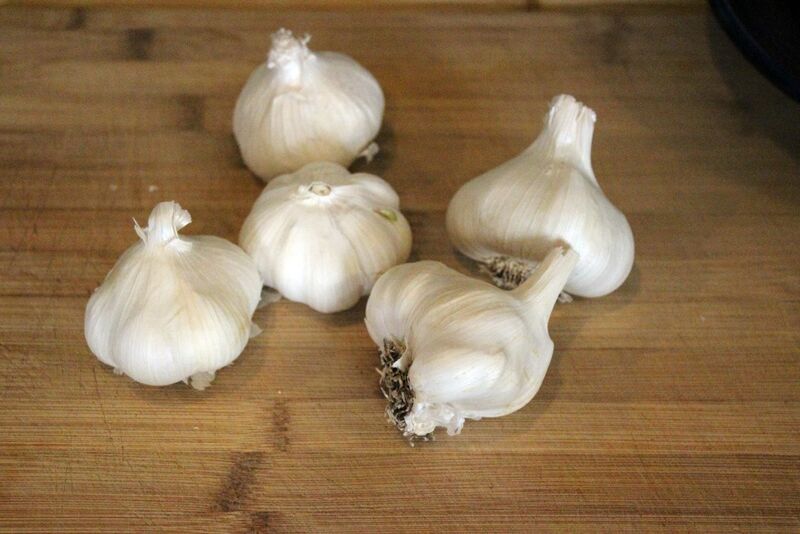 When the garlic has cooled, cut each bulb in half crosswise (halving each of the cloves), and squish the roasted garlic into a bowl. Add the olive oil and a sprinkle of salt, and mash with a fork until a paste forms. 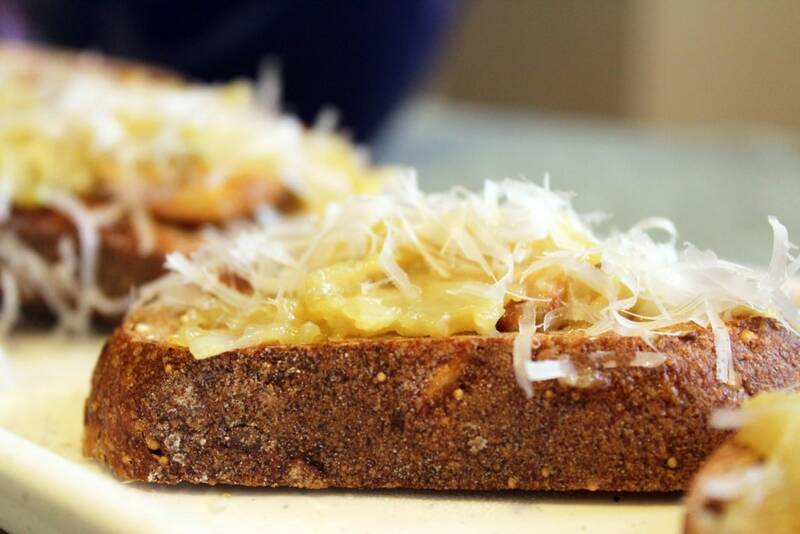 Assemble the crostini by spreading the bread with a thin layer of the garlic mixture. Sprinkle with a bit more salt, and shave parmesan directly over top, if using. If desired, roasted garlic paste may be used for anything! Mix into greek yogurt or sour cream for a dip, stir into mashed potatoes - sky's the limit! Previous Post: « Today is the Day!